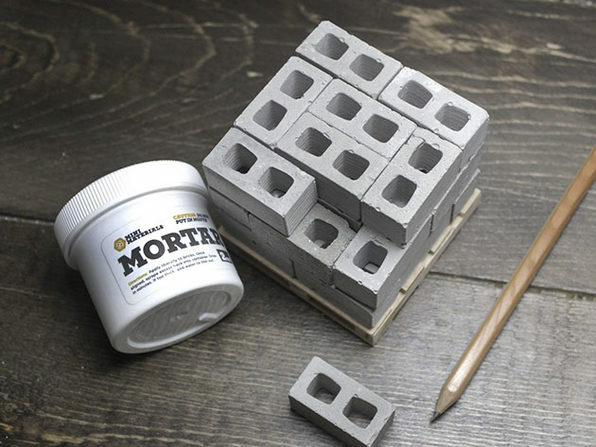 Turn your desk into a miniature construction site with these fun 1:12 scale mini cinder blocks, handmade out of real cement. 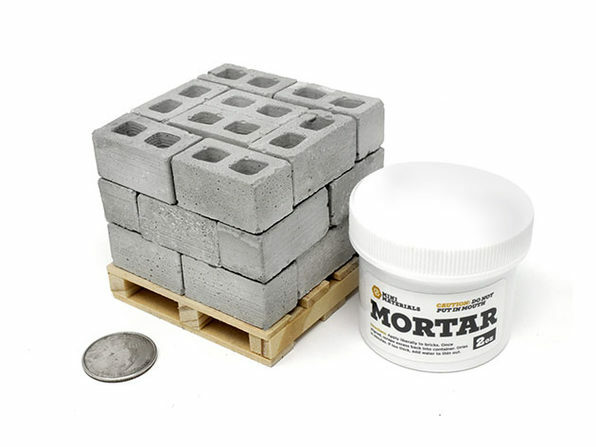 Small but substantial, these cinder blocks are just like the real ones and make a fun toy for tinkerers and DIY-ers. 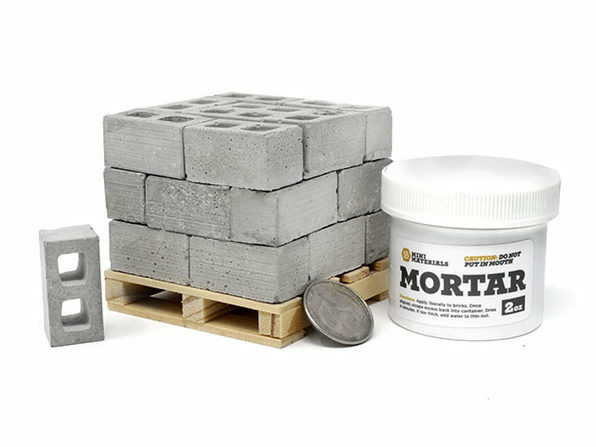 This 24-pack comes on a wooden pallet that doubles as a coaster.  Dimensions: 1.3" x .66" x .66"